The release of a recent collaborative investigative report accusing a senior police officer of accepting bribes in relation to a meat-import corruption case has stirred controversy amid the campaign for the 2019 presidential election. The camp of Joko “Jokowi” Widodo-Ma’ruf Amin has responded by suggesting that the investigation, published by an independent whistleblower platform, IndonesiaLeaks, is not credible. The investigation released on Monday reported that two former Corruption Eradication Corruption (KPK) investigators, both of whom were members of the police, tampered with crucial evidence relating to a meat-import bribery case. The two allegedly ripped out several pages of a book containing transactions by meat importer Basuki Hariman. The report, which was developed based on documents sent by anonymous informants, also cited an alleged flow of bribe money from a meat importer to current National Police chief Tito Karnavian. The platform is a collaborative effort initiated by, among others, the Alliance of Independent Journalists, Tempo Insitute and Netherlands-based Free Press Unlimited. Media members include Tempo, Bisnis Indonesia, Liputan6.com, The Jakarta Post, CNN Indonesia, KBR, Suara.com and Independen.id. Hasto Kristiyanto, the secretary-general of ruling Indonesian Democratic Party of Struggle (PDI-P), which is also member of Jokowi’s coalition, insinuated that IndonesiaLeaks was part of a political movement to harm Jokowi’s presidential campaign. “[The IndonesiaLeaks report timing] is not a coincidence; it has suddenly emerged as part of the drama relating to Ratna Sarumpaet,” Hasto said following Monday’s release of the report. The politician was referring to the recent scandal involving Ratna, an activist who was affiliated with presidential challenger Prabowo Subianto’s camp, and who claimed to have suffered bruising to her face after being assaulted, but later admitted that her swollen face was a result of cosmetic surgery. “Whatever is described as leaks must be examined by the law. There may be other leaks that cause harm,” he said. Oesman Sapta Odang, chairman of the Hanura Party, which is part of Jokowi’s coalition, also said that there was something fishy about the report, adding that unknown parties ordered the investigation. “There must be something behind it,” Oesman said. The report found that CCTV footage from April 2017 allegedly showed Adj. Sr. Comr. Roland Ronaldy and Comr. Harun, who were assigned to the KPK as investigators at the time, tearing and altering pages from a financial-records book. The book was among the evidence that was confiscated in a bribery case involving meat-importing businessman Basuki and former Constitutional Court justice Patrialis Akbar – both were sentenced to jail in September 2017. IndonesiaLeaks obtained a document, a KPK investigation report (BAP) on March 9, 2017, documenting interrogation by investigators of witness Kumala Dewi Sumartono, a finance department employee of CV Sumber Laut Perkasa. The documents revealed that Kumala told investigators that some of the money recorded in the book was wired to Tito. The document showed that Kumala told the KPK that between January and July 2016, the company transferred money to Tito. Tito served as the Jakarta Police chief from June 2015 to March 2016, as National Counterterrorism Agency (BNPT) chief from March to July 2016 until he was inaugurated as the leader of the National Police. There were at least eight transactions recorded in the financial-records book, which Kumala wrote herself. Most of the money was wired in US dollars and amounted to Rp 7.2 billion (US$474,360) in total. But the flow of funds in the BAP, which was revealed during an investigation led by KPK investigator Surya Tarmiani, was not mentioned in Basuki’s indictment. Surya himself said he had his laptop containing key evidence in the case stolen as he exited a taxi in Jakarta, less than a month after the investigation. 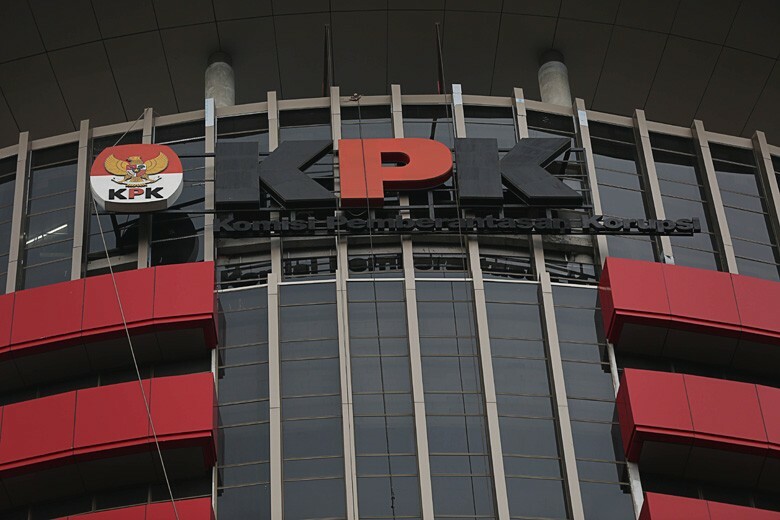 The BAP on Kumala’s interrogation and other supporting investigative documents received by IndonesiaLeaks have been validated as legitimate by at least four KPK members. When asked for confirmation back in August Tito said the accusations had been answered by Brig. Gen. Muhammad Iqbal, the National Police spokesperson, who denied the allegations. The opposition camp has urged Jokowi to prove his anticorruption commitment. “The case can reveal the ‘anatomy of corruption’ in Indonesia, such as the actors and the patterns,” said Dahnil Anzar Simanjuntak, a spokesman for the Prabowo-Sandiaga Uno campaign team. Under Tito’s leadership, the police have charged firebrand cleric Rizieq Shihab, known to be close to Prabowo's camp, with several offenses. The National Police recently arrested Ratna and on Tuesday summoned Amien Rais, a vocal anti-Jokowi figure. President Jokowi, who is seeking re-election next year, said that he did not want to intervene in legal cases and the KPK. “It’s still an allegation. I don’t want to intervene or be involved in legal processes,” he said. Meanwhile, Eni Mulia, executive director of the Association for the Development of Nusantara Media (PPMN), one of the initiators of IndonesiaLeaks, said it deplored the politicians who accused the platform of being political, since the core message that it wanted to deliver was the cooperation between the media and the public in corruption eradication. “We hope that the KPK will reopen the investigation into the case to find out who is behind the corruption,” she added.